For several weeks earlier in the winter I was struggling to find an audiobook that would really work for me. I DNF’d a couple and that’s not usual for me. Beginning with the books I’m sharing today, all that has changed! I’ve got my audiobook grove back and am happy to share two reasons why with you today. From the Publisher: From the best-selling author of The Dog Stars, the story of two college students on a wilderness canoe trip–a gripping tale of a friendship tested by fire, white water, and violence. My Thoughts: I’d never read anything by Peter Heller and didn’t really know what to expect. An adventurous story of two young men paddling a river in northern Canada doesn’t at first glance appear like my sort of book. And yet, I couldn’t resist the allure of a friendship tested by wildfire and violence. I definitely made the right call. I loved The River! This is the story of best friends. Two intelligent young men who met at freshman orientation and discovered a joint love of nature and all things outdoors. They “got” each other right from the start. Jack came from Colorado where his parents owned a ranch. He grew up in a home filled with love, knowing how to survive in almost any environment, but all was not perfect. Tragedy marred Jack’s childhood, and still haunted his world. Wynn, a gentle man with an artist’s soul, grew up across the country in Vermont, sharing with Jack a love of family and any sort of outdoor adventure. After working hard all summer, the friends embarked on a challenging canoe trip they’d long dreamt of making. All was perfect on the trip, until suddenly it wasn’t. They smelled the smoke from a wildfire not far away, encountered a pair of drunken Texans, and heard alarming shouts between a man and woman. Their idyllic journey quickly turned from fun to danger. Narration: Mark Deakins is a new narrator for me and he’s already on my list of favorites. He was so easy to listen to with just the right amount of expression and perfect pacing. Deakins has A LOT to do with why I liked The River so much. In print I think I may have grown tired of some of the more descriptive passages. Instead, Deakins brought the place and the people to life for me – a great example of how a narrator can really make an audiobook. 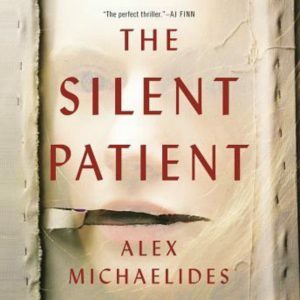 From the Publisher: Promising to be the debut of the season, The Silent Patient is a shocking psychological thriller of a woman’s act of violence against her husband – and of the therapist obsessed with uncovering her motive…. My Thoughts: I didn’t have a huge interest in The Silent Patient until last month when I started seeing it EVERYWHERE! Sometimes that makes me want to run from a book, but I’d been struggling to find a good audiobook and decided it was at least worth a try. From the very start, I was hooked. This is the story of Alicia, a well known artist accused of shooting her husband five times in the face and then never speaking again. 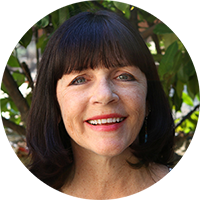 For seven years she’s lived silently in a mental hospital. It’s the story of Theo, a psychotherapist determined to break Alicia’s long silence and find out what really happened. But, Theo’s motives might not be quite as altruistic as he’d like you to believe. I love an unreliable narrator and in The Silent Patient we get two! Theo narrates most of the book and right from the start begins to hint of more to come, that he knows much more than he’s slowly parsing out. He’s terribly arrogant and becomes less likable as the story goes. Something about Theo seems off. Can he be trusted? Alicia doesn’t speak, but before the murder she kept a journal and from this she shares snippets of what was happening in her life in the weeks leading up to the murder. She too hints at more than she’s telling, leaving the reader completely off balance. Narration: I thought the narration for The Silent Patient was good, not outstanding, but good. Louise Brealey’s parts were brief and well done. There wasn’t enough to really get to know her narration. Jack Hawkins carried the bulk of the story and did a great job of making me go back and forth on Theo, who was telling his part of the story in first-person. Where Hawkins fell down for me was with dialogue involving female characters. Too many sounded sharp, shrill, and largely shrewish. Perhaps this is why female characters seemed to be portrayed harshly. What audiobook has been your favorite this winter? Peter Heller is one of my favorite authors. And (as I wrote for AudioFile magazine), Deakins and Heller are an audiobook lover’s dream team. I definitely loved the combination and am thinking about trying The Dog Stars next. Glad to know Heller’s one of your favorites. I’ve got The Silent Patient on hold at the library, but I’m WAY down the list! I’m hoping it can help me recover from Before She Knew Him – which might have sent me running scared from psych thrillers again! I think you’d enjoy The Silent Patient. It was a fun sort of thriller and it has the creepy psychologist which I know you like. 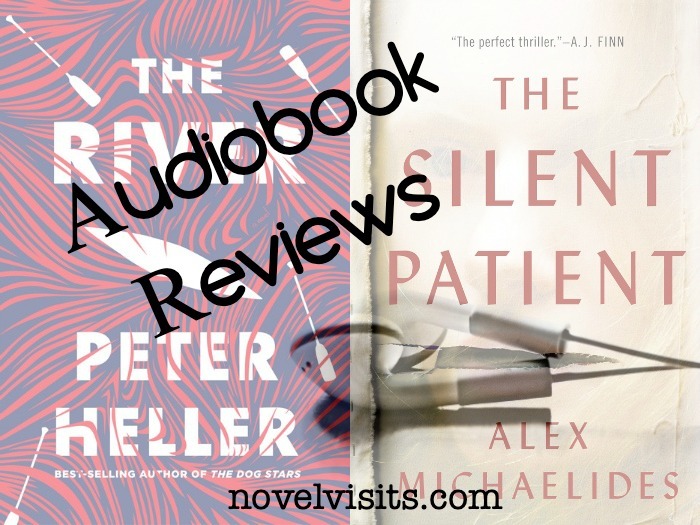 I really loved The Silent Patient on audio as you know. I agree I wish we would’ve had more Alicia but I love that they had a female narrator for her parts, that made the audio experience come alive much better than the print. I do enjoy books with more than one narrator. That worked really well in An Anonymous Girl, too. Audiobooks have always been tricky for me because it’s not only the content of the book that matters, but the narrator as well. I didn’t really enjoy the last audiobook I read (Nine Perfect Strangers) and I’m not sure if it was the actual book or the narrator that made it a dud for me. The River looks like a good one. I’ll have to check it out! I agree that audiobooks are SO tricky. Both story and narrator have to work. I’ve returned MANY audiobooks after listening for an hour and deciding I just couldn’t take the narrator. Certain ones now I’m pretty set on and feel they actually make books better. Peter Heller is one of my very favorites. I didn’t think anything could top THE DOG STARS, but CELINE is one of my favorite things of all time. Highly recommend them both if you want to read more of his work. You’ve convinced me to keep SILENT PATIENT on the list, I hope to do the audio version as well. Thanks for the recs on the other Heller books you liked. I am planning n reading more by him, so will check both out more closely. I hope The Silent Patient works for you. 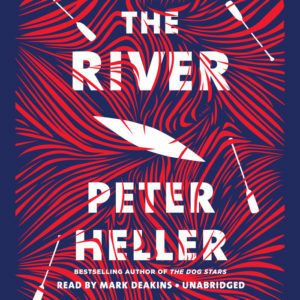 Great reviews–so glad to hear you loved The River, especially. I’m on hold for both of these (in print), and really looking forward to them! Peter Heller is from Colorado and The Dog Stars was set just a few miles from where I was living when I read it–the landscape is a big part of that story, and it’s eerie to read about your home in a post-apocalyptic world. He’s a great writer, but that’s another reason that one has stuck with me. I completely get why it’s so interesting to read books set in places you’ve lived. It’s one of the reasons I like books set in California so much. I grew up in northern CA and went to college in southern CA and always have a soft spot for books set in those ares. I’m thinking of listening to The Dog Stars soon.